When I became a mother, I knew I would love my children more than anything. What I didn't fully comprehend was what a plethora of other emotions I would experience as a mom. There is absolutely nobody and nothing in this world that I love more fiercely than I love my three daughters. When I became a mother, I knew I would love my children more than anything. 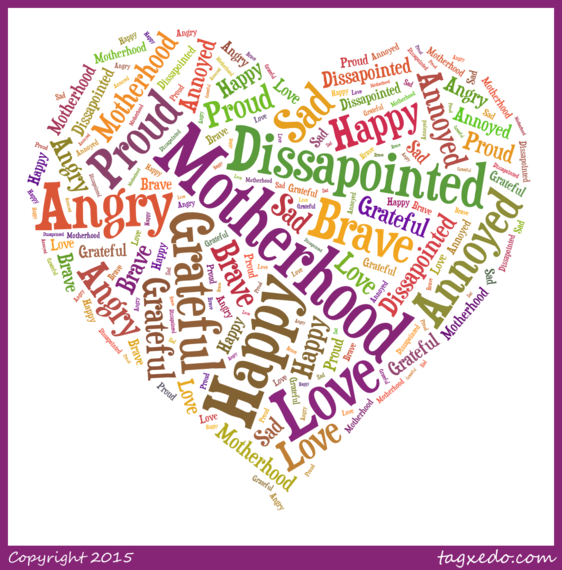 What I didn't fully comprehend was what a plethora of other emotions I would experience as a mom. There is absolutely nobody and nothing in this world that I love more fiercely than I love my three daughters. There is also nothing and no one who can make me angrier or more exasperated than they do. I can look at them and feel like an amazing, empowered woman, yet immensely guilty for my perceived failures as a parent. There are days when I so desperately need a vacation away from them, but if I ever get it I miss them terribly. While I would without hesitation give my life for them, I also lament the "life" and freedom motherhood has taken from me. 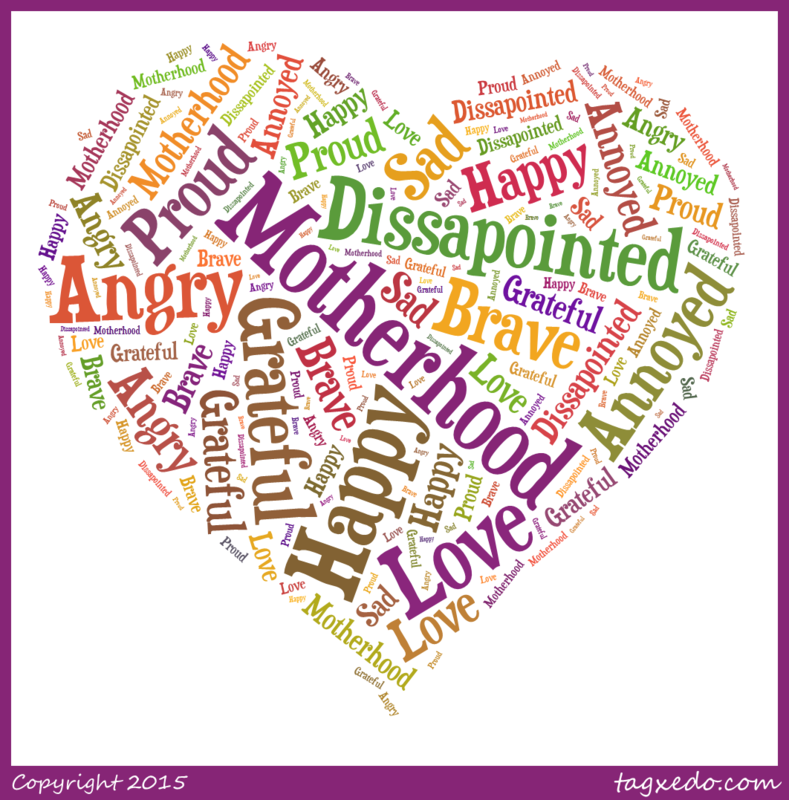 The emotions of motherhood are complicated, aren't they? It can feel much like a ping-pong ball, bouncing uncontrollably from one wall to another and back again. These children, these precious gifts I've been given -- I love them more than I ever knew possible, yet I am sometimes more frustrated, exhausted, or confused by them than I could have ever imagined. For example, my heart swells with pride when I see the straight A's on the report card. An hour later, I'm shouting, "What is wrong with you? Why do you treat your sister that way?" utterly disappointed by their behavior and my shortcomings in guiding them. I stare at the lunch boxes on the counter, annoyed at having to pack lunches again for three differently picky eaters and I mumble about how ridiculous their "menu requirements" are. Yet, I am grateful that I have plenty of food in my pantry to give them and, when they walk out the door, I hold on for an extra second or two and silently pray for them to have a good, safe day. I so admire their uniqueness and strength to be exactly who they are, but I get so tired of wardrobe arguments, defiant attitudes, and wish that, just once, they could agree on a family time activity. I am beyond terrified by the idea of losing any of them. However, I have found strength and bravery I never knew I had in the name of protecting them. They simultaneously ruffle my feathers and melt my heart. Every day as a mom is a roller coaster of convoluted emotions. This parenting journey has brought me my highest highs and my lowest lows. I know there are plenty more to come. As I anticipate sending them off to college, watching them walk down the aisle, and seeing them become mothers themselves, I know I will be so very proud and joyful AND so desperately heartbroken and sad as the conflicting, extreme feelings of those momentous occasions twist and turn around my heart and soul. In those big moments and in the smaller, everyday ones, all I can do is buckle up, hold on tightly, and enjoy the exhilaration of this complicated ride. This post originally ran on Lisa's blog, The Golden Spoons. You can also follow her on Facebook and Twitter.